Heartbreakingly, this was not a new story. It was another case of dismal life repeating itself as it had done over the last few decades. The media unveiled the Florida shootings to our attention in real time, and, in the end, you wondered if the boiled story would eventually simmer -- only to be repeated in another city in the not too distant future. But, days after the horrific events at Marjory Stoneman Douglas High School, it was clear a new voice in the gun control conversation had arrived. They have showed themselves intelligently and courageously. United, they have brought their voices, passion and commitment as they embark on a different type of protest with our government. It made me think of my son. As a parent of a 5 year old boy who will soon enter California's public school system, watching these events (once again) unfold, I vowed to do my part to not let that happen again. I support every student, parent, teacher and activist who bravely aspires to make a difference -- by making it different -- this time around. At Sock Problems, we made the conscious choice to get involved and do our part. The way we've chosen to do so is to give those who walk, march or demonstrate a tangible tool that they could proudly stand in. Or, better stated, we aspire to give individuals who want to “sock” gun violence a sock that helps them express how they feel. The process of creating this sock was born from the desire to give students a platform to illustrate how they felt about this looping current event. 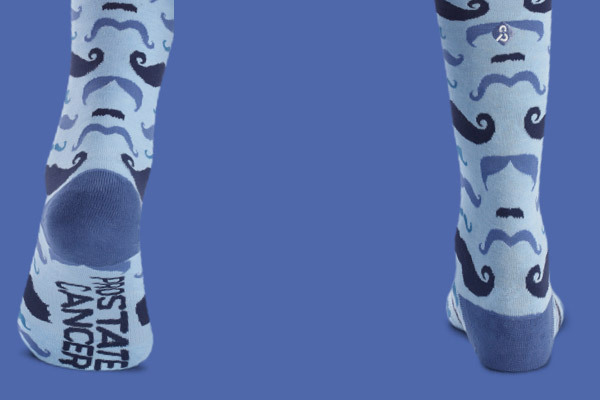 We reached out to teachers across the nation asking their students to participate in the creation of this sock. We also shared our call for student submissions on our social media channels. Thanks to a flood of students nationwide who submitted designs we’ve narrowed all entries down to four finalists and put them up for vote on social media. At the end of the vote, there was a clear winner which was a concept sketched by talented student Paulina Markowski. Her concept posed a choice for a young boy climbing up alphabet blocks that spelled 'E N O U G H'. When the child reached the apex of the blocks, his out stretched arm looked to grasp either a gun...or a book. Paulina's concept is a beautiful one and it’s easy to see why it stood out strongest to many. What I've learned about her is that she probably wouldn't love all of this attention. Thanks to the amazing, caring work of nationally recognized New Jersey super teacher Nicholas Ferroni, we were able to understand her concept and feelings on this subject. Keeping the integrity of Paulina's work, we did think it was necessary to incorporate 1) the color orange; which is the color of the 'gun violence' movement, and 2) the POV, if possible, of a Parkland student. We were fortunate enough to receive feedback from Marjory Stoneman Douglas high schooler and activist Delaney Tarr. With her input, we feel good about the sock that you now see in development below. There's no question we hope that parents will jump in and support our "Sock Gun Violence" sock -- but this sock was primarily designed by a student for students. One final deviation you'll notice about this sock over any others in our Sock Problems line: we decided to launch off the Indiegogo platform. By going this route, we provide supporters varying ways to engage in our efforts to “sock" gun violence. Our Indiegogo campaign will offer those who passionately participate the opportunity to donate pairs to students in solidarity or send socks (and a fairly poignant message) to your state Senators in protest. If we are going to make true societal change, then we'll have to stand together to have our students voices heard. Thank you to everyone who submitted a design or voted. And thanks in advance to anyone who chooses to care, wear and share our 'Sock Gun Violence' story forward. To all of you students, parents, teachers or principals who read this far, I hope you will stand in a sock that was designed to stand with you. Submit your email to stay up to date on the "sock" gun violence Indiegogo campaign launch on March 24th.